Can the GeForce RTX 2080 fit in a chassis the size of a Dell XPS 15? Apparently so. Gigabyte has updated its most popular 15-inch laptop ever with CPU and GPU options normally reserved for thicker and larger gaming laptops. 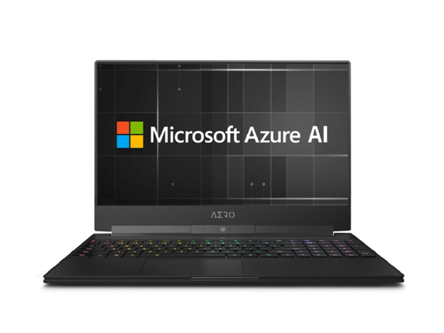 Day-to-day performance will also be boosted by Microsoft Azure AI. Gigabyte has been relatively quiet during the second half of 2018 and now we know why. The Taiwanese manufacturer has been busy working on updating some of its most popular laptops for 2019 including the Aero 15 and Aorus series. 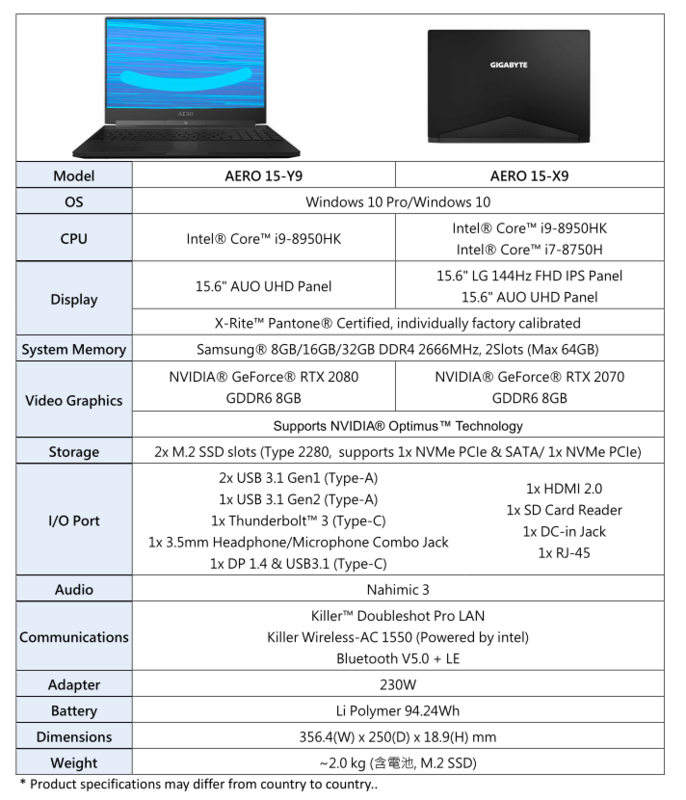 Hot off the heels of the mobile GeForce RTX unveiling from Nvidia, Gigabyte has made public its brand new Aero 15 refresh to succeed the 2018 Aero 15X v8. The spec sheet below shows two upcoming SKUs — Aero 15-Y9 and Aero 15-X9 — differentiated by the CPU, GPU, and display. The new generation will come with GeForce RTX graphics as expected, but what we weren't expecting are the high-end options available up to even the RTX 2080 on a 230 W AC adapter. When considering that the competing Dell XPS 15 has problems running a Core i9 CPU, it will be interesting to see how Gigabyte has adapted the demanding RTX GPU and same Core i9 option for its flagship Aero 15-Y9. As for the software, Gigabyte has teamed up with Microsoft to offer Azure AI cloud features. The technology can "learn" user behavior and automatically adjust fan modes and CPU/GPU voltages for maximum efficiency. In practice, we suspect that this would be equivalent to a constantly alternating Power Profile in response to user activity. The actual chassis design of the 2019 Aero 15 series remains unchanged from last year's model. This isn't necessarily a bad thing since the original chassis is distinct and it still holds up very well against the competition. It does, however, have us concerned about raw performance from the high-power processors as mentioned earlier. We'll have to confirm with the OEM if the GPUs are Max-Q or not since the last generation Aero 15X v8 utilizes a GTX 1070 Max-Q. 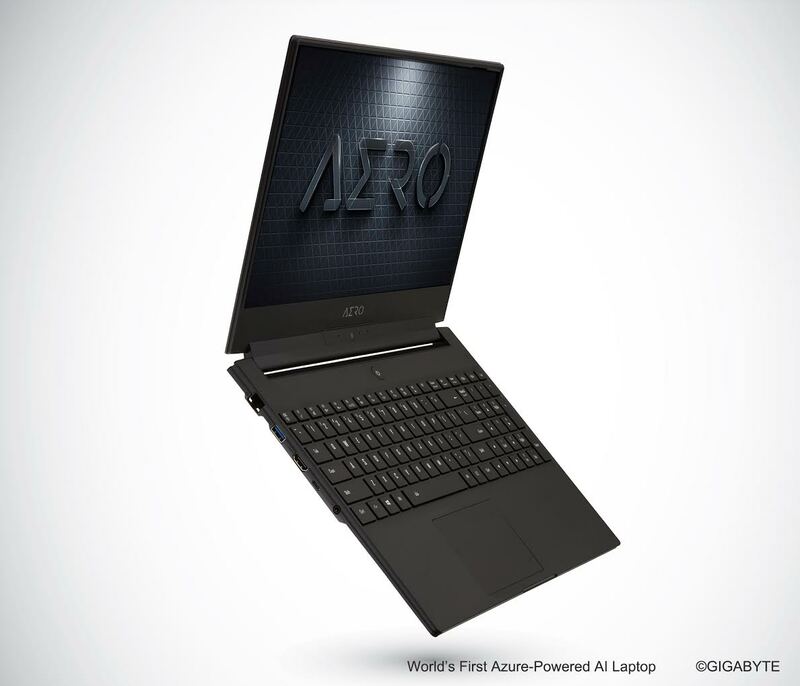 Gigabyte will reveal more about the Aero 15-Y9 and X9 during a press conference tomorrow and on the CES show floor.